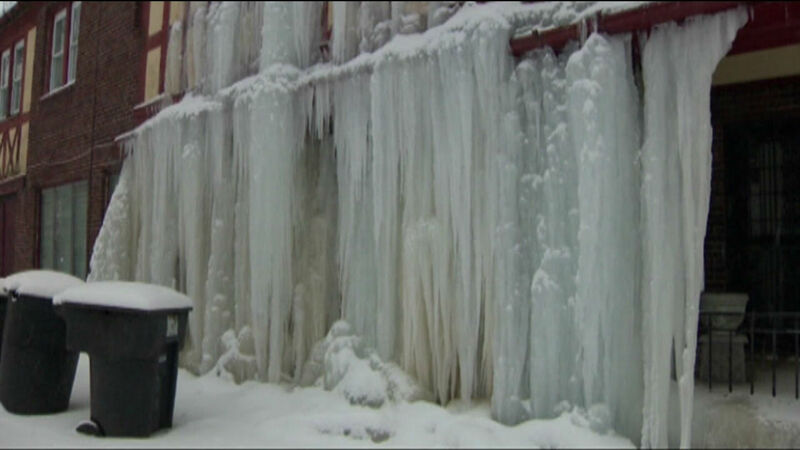 A pipe burst on the second floor of a home in Detroit, and water gushed through the walls and down the side of the house until the cold air turned it into a curtain of ice. 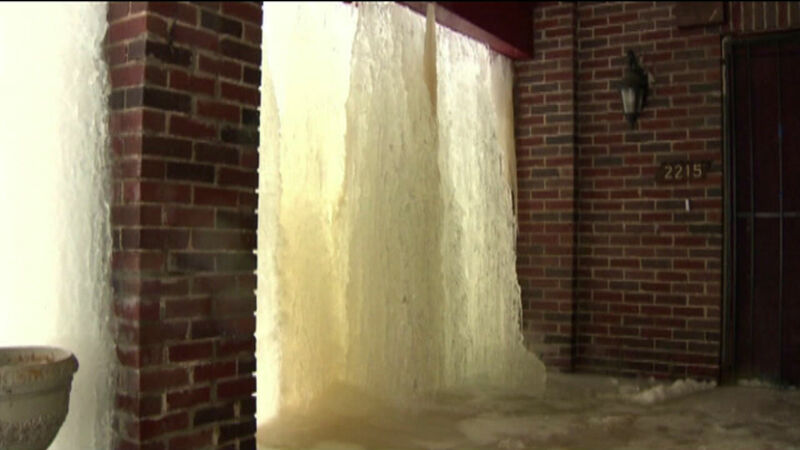 DETROIT (WLS) -- A pipe burst on the second floor of a home in Detroit, and water gushed through the walls and down the side of the house until the cold air turned it into a curtain of ice. It's strangely beautiful, but the tenant living downstairs says all that water and ice has caused major damage to his property.